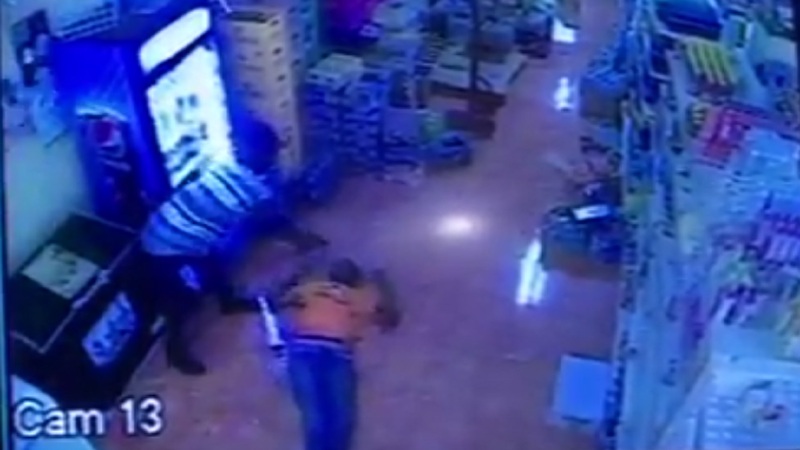 Screenshot of CCTV footage showing armed robbers pouncing on a pump attendant at a gas station in Ocho Rios, St Ann. 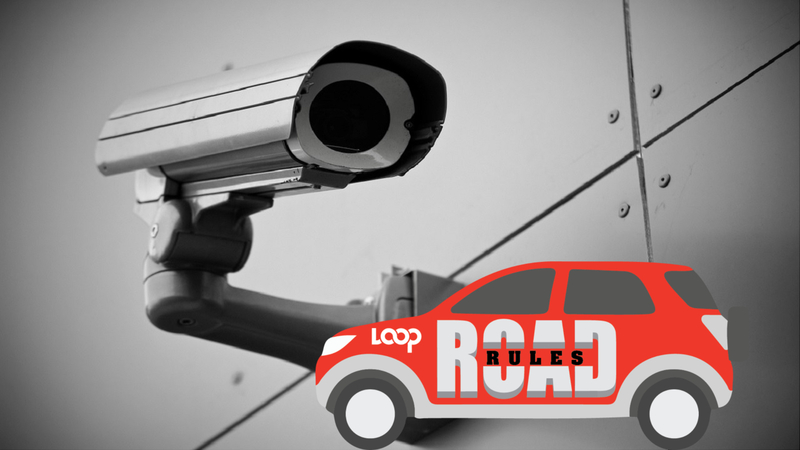 Police say they have apprehended a suspect in connection to an armed robbery recently at a gas station in Ocho Rios, St Ann that was captured on CCTV. 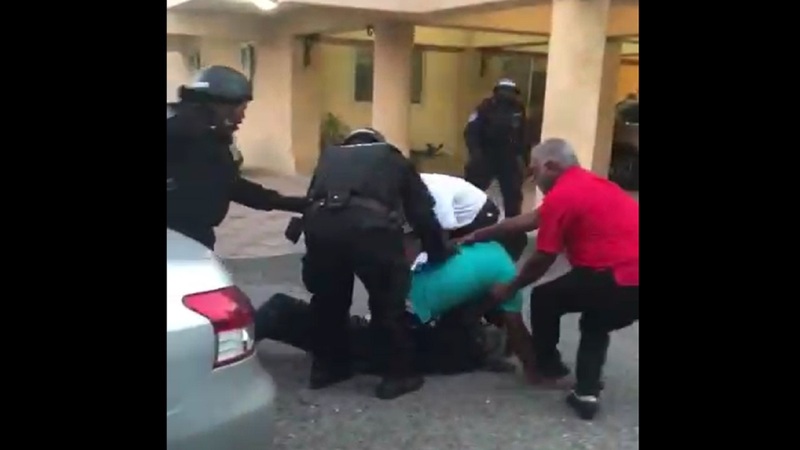 The video of the robbery, which began making the rounds online over the weekend, shows a pump attendant being held up by two men. 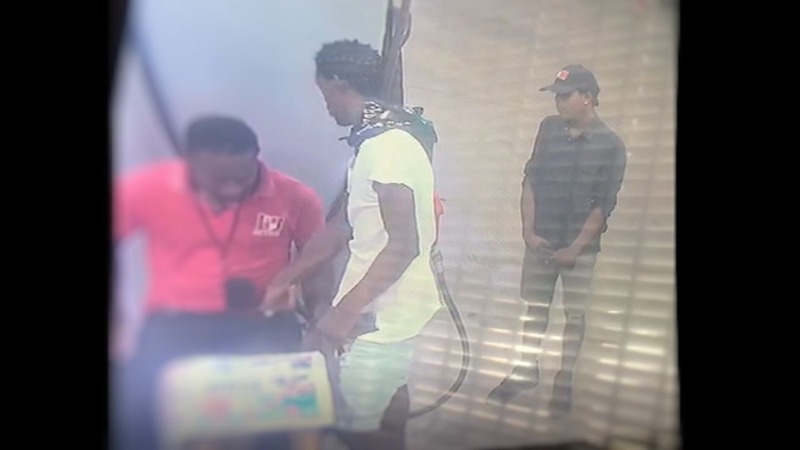 One of the men is seen in the footage standing with what appears to be a gun in his hand while the other searches the pockets of the pump attendant, taking a phone and other items of value from the helpless employee. Police told Loop News that one of the suspects was held on Sunday and is in custody being questioned. Details of the operation that led to the arrest of the suspect were not revealed. It is also unclear which one of the suspects was held. The second suspect is still on the lam.